Location: Spinal column, in the cervical plexus near the throat. Vibrations: Vishuddhi vibrations are felt in the index fingers (left index finger for left Vishuddhi; right index finger for right Vishuddhi). Associated Element: Vishuddhi is aligned with the purifying element of ether. Physiology/physical regions governed: Vishuddhi governs the neck, throat, arms, face, ears, mouth, teeth and eye movements. Enables the senses of sight, sound, smell, and taste and plays a role in speech. The fundamental qualities of Vishuddhi are good communication skills and the ability to develop strong, pure relationships. Vishuddhi not only plays a role in governing speech, but also in helping us maintain respect and diplomacy in all our communications. It is from Vishuddhi that we achieve harmony and cohesion with humankind and experience unity and oneness with the universe. Vishuddhi allows us to be an emotionally detached observing witness in stressful situations, thus improving our emotional maturity and perspective-taking skills. We are able to merely observe events in a pure, objective, detached manner without emotionally overreacting. Vishuddhi governs the strength and purity of our relationships. Our socio-emotional skills improve. We become more tolerant, more flexible, less self-centered, and more reasonable in all our relationships. We become less judgmental and less likely to expect too much from others. Our sense of humor improves, our temperaments become more effervescent, and we find that we’re able to get along with practically anyone. We learn to resist the temptation to flirt, or have the kind of meaningless, short-term relationships that are born out of impulse. A strong Vishuddhi regulates our speech and communication skills. Since Vishuddhi governs our relationships with human beings, diplomacy in word and action is directly affected by the state of this chakra, as is our sense of respect, both for ourselves and for others. We must have respect for others in order to maintain brotherhood or sisterhood with them. We must respect ourselves in order to maintain secure self-esteem, make good choices and be connected to ourselves. 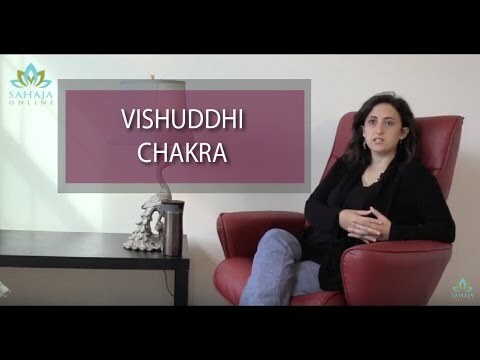 The Vishuddhi chakra enables the power of collectivity or community, enabling us to develop an innate sense of unity and oneness with others and understand how forging positive relationships with others betters our lives. Vishuddhi is central to our growth into a collective Spiritual being — one who is in harmony with the universe and can tap into its collective consciousness. Lack of self-respect, which might manifest, for example, as low self-esteem and guilt, lodges itself deeply in the left Vishuddhi, which is toxic to our personal growth and development. Guilt attacks the left Vishuddhi, and guilt is also one of the greatest barriers to raising the Kundalini energy during meditation. Protecting and nourishing the right Vishuddhi, which governs speech, includes paying attention to how we speak to others. We energize this chakra when we speak from the heart and praise, rather than criticize, speak harshly or sarcastically, or attempt to make witty remarks at someone else’s expense. Disrespectful, undiplomatic communication can create a vicious cycle by making us feel guilty, which, in turn, further damages the Vishuddhi chakra. 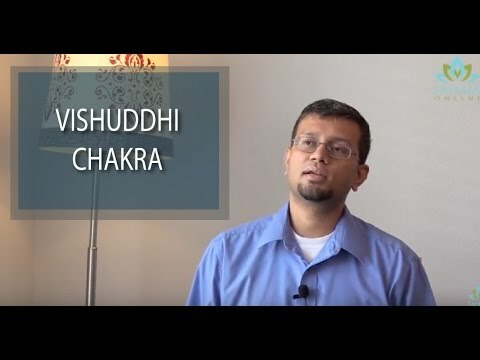 The state of the Vishuddhi chakra reflects our ability to rise above petty differences and proactively resolve our problems and shortcomings rather than just feeling guilty about them. Vishuddhi allows us to emotionally detach from external events and recognize that they exist outside us, that they are not us. In this way, we are able to strip away the layers of identity to reveal our true essence. It is through Vishuddhi that we are able to develop a balanced perspective of life events and radiate calmness from within. As a result, we can greet even the most difficult challenges with a mature perspective and maintain a hopeful, optimistic outlook. A strong Vishuddhi Chakra grants us the ability to detach from events and let life play out before us without being brought down by events that may seem traumatic, but are, in fact, simply a part of life, situations that we must pass through to reach the other side. This ability to be a detached witness doesn’t mean that we stop accepting responsibility for our actions, or that we will develop a pessimistic outlook on life — quite the opposite. We are simply better equipped to maintain proper perspective and an optimistic outlook when faced with stressful situations. By strengthening and nourishing Vishuddhi, we develop an innate ability to remain in this detached witness state for the longer term (not just during meditation), rather than being overreactive. Ultimately, our communications with others become more precise, effective and polite — all at once.